It’s not the steepness of this black run that makes it a challenge but the distance and the bumpy terrain. 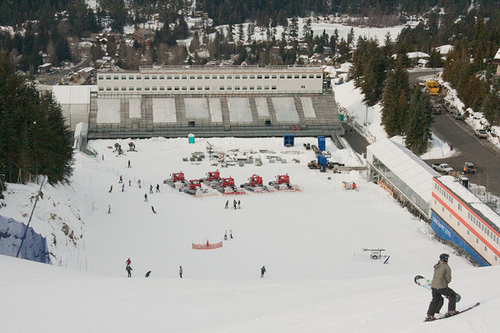 The run was built for the 1992 Winter Olympics as the men’s downhill course and has a relatively easy start that has lulled many into a false sense of security. However, this run requires endurance and it’s not advisable to get too involved in the stunning scenery, as you will need all your concentration to get safely to the end. The Olympique gondola from Val will whisk you to the top of the Rocher de Bellevarde where the run begins. Watch out on this run for icy conditions, as well as sparse snow, as there can be some treacherous rocks poking through when cover is light. You can’t take your eye off the ball for a second on the black run at Tortin as if you do, it’s a slippery 105-metre fall over some seriously bumpy ground. This run is sheer and it takes no prisoners so do not attempt this after a night on the ales unless you’re a very sure-footed skier. The Lac des Vaux chair will take you to the col de Chassoure and then all you need to do is build up the courage to go over the edge. If you lose your nerve at the last minute then fear not as you can take the red run back to the Lac de Vaux. If you like your runs smooth then this is not the run for you as there are bumps galore here that represent some of the most challenging terrain in Europe and require some serious tenacity. You can find the run left off Ski Route 15 in the Steissbach Valley by taking Schindlergratbahn triple-chair to the Schindler Spitze. It may not be one of the steepest black runs around but the challenge of the moguls makes it one of the most dangerous, and certainly not one for anyone with weak knees. As might be obvious from the name, the defining feature of this black run is the tunnel of rock through which you travel for around 60 metres. The tunnel is narrow, has just enough snow underfoot to allow skis to slide and at the other end there’s a heart stopping shock, as the ground seems to simply fall away at the end of the tunnel. Once you have done this run once, it’s marginally less treacherous but for first timers your heart will literally be in your mouth all the way down. To get to Le Tunnel, take the cable car to the top of Pic Blanc and then ski down through the black mogul field or around the edge until you get to the tunnel itself. If you’re looking for different challenges from your black runs, whether it’s extreme steepness, huge amounts of moguls or an obstacle test like the Tunnel, these four of the Alps’ most dangerous black runs have something to offer. 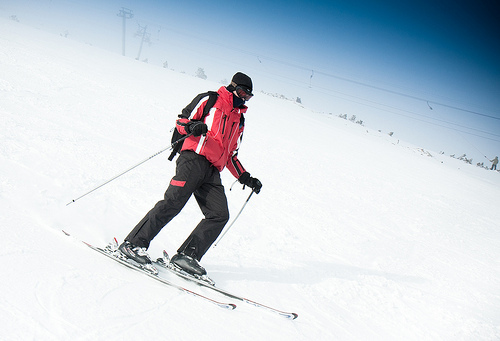 Just remember that these runs require some skill to get safely down and, if you haven’t tackled them before, it’s a good idea to take some advice on the best way to go, before hurling yourself down that slope. John wrote this guest post on behalf of Alpine Action who offer great deals on Meribel chalets. 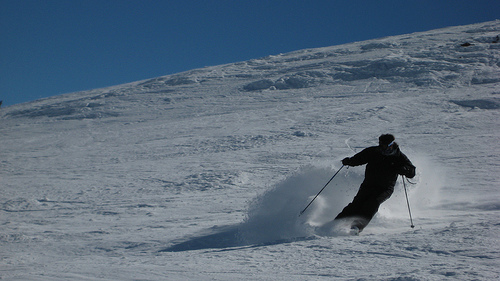 Check out Alpine Action for Meribel resort deals. This entry was posted in Europe, Skiing, Travel, Winter Sports and tagged Alps, Black Ski Runs, Skiing. Bookmark the permalink.